Top to Bottom Ltd have been providing high quality products and services for over 25 years. 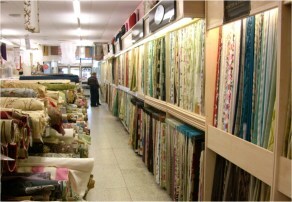 You will find a massive range of soft furnishing items at our Bristol store (Staple Hill) including everything you need to re-furnish your home from a massive range of fabrics through to ready made curtains, cushions and blinds. Our experienced and friendly staff are always happy to help and will answer any questions you have. 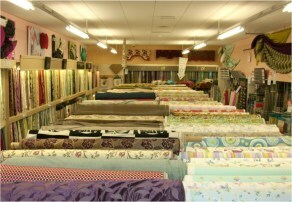 Our product range includes thousands of fabrics (curtains, upholstery etc), a large selection of net curtains, a large selection of tracks and poles, ready made curtains, cushion covers, haberdashery, cords and trimmings and blinds. 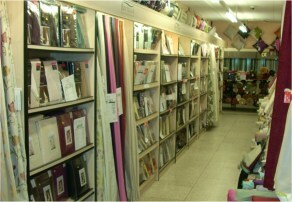 We offer a made to measure curtain and blind service. Measuring / estimate service: For customers in the Bristol region, we offer a measuring service. Give us a call on 0117 9493984 to discuss this service. Whatever heading style or design that you would like, rest assured that Top to Bottom have the expertise, using curtain makers with over 20 years of experience. 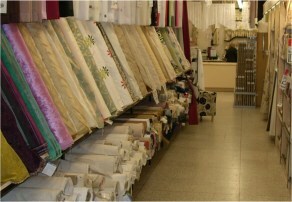 We specialise in every aspect of made to measure curtains. 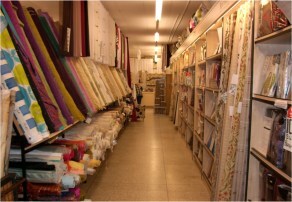 All our curtains are hand-made to your exact requirements with our experienced local curtain makers. Pencil pleat; eyelets; pinch pleats: whatever your heading style, we've got it covered. To take advantage of our made to measure service simply bring your measurements to our Bristol store (see Measuring Tips page for measuring tips) and select the fabrics that you wish to use. Measuring and estimate service: If you would like us to visit you (Bristol area only) please call us on 0117 949 3984. Visit our Bristol store for our massive range of fabrics that will astound you - we have one of the largest range of fabrics in the South West. Our range includes fabrics designed by companies such as Prestigious, Clarke & Clarke, Vila Nova, Crowsons, Fryetts, Style Furnishings, Ashley Wilde, Chess Design, Bill Beaumont, Blendworth, Leon Brunswick, SMD, Montgomery, Hardy Fabrics, plus many more. 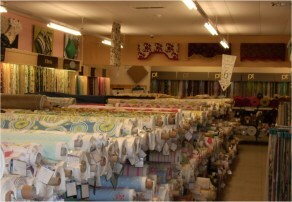 All our fabrics are of the highest quality and colour. We probably stock the largest selection of upholstery fabrics in Bristol in varying design styles such as plain and patterned. Our selection offers a great way to bring your own touch of style to furniture with our extensive high quality range at bargain prices. 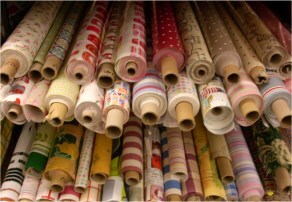 Our range includes leatherette (leather-effect vinyl), tapestry, chenelle, damask fabrics and many more. Prices range from only £6.99. 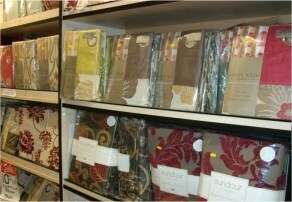 We stock many top brand upholstery fabrics in many styles including a large fire retardant selection at low prices. We stock a huge selection of ready made curtains at extremely competitive prices from manufacturers ranging from Rectella, Sundour, Ashley Wilde, Curtina plus many more. 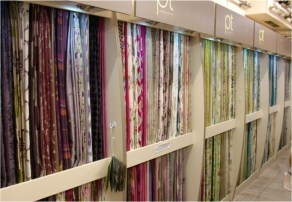 Designs range from modern styles to floral prints, plus all our ready made curtains are now lined. We also provide ready made linings that can be attached to your curtains in polycotton and blackout fabric all available in the same sizes as our curtains. We stock a huge selection of net curtains, cafe nets and jardinieres ranging from plain voile net to beautiful floral designs designed by manufacturers such as Tyrone, Mirabel and White Angel plus more. 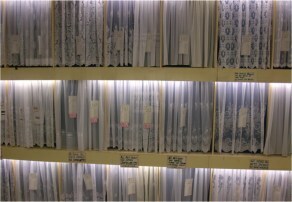 With our large selection of net curtains, you can be sure that you will go home with the right choice! Call today on 0117 949 3984 for our Bay window Curtain track fitting service. One of our highly qualified members of staff will visit and customise the track to fit your specific window no matter what shape or size! We use a very high quality Curtain track corded or uncorded so you can be assured your curtain rail will last for many years. We offer a full professional measuring and Curtain Track and Pole fitting and curtain hanging service at an affordable price (Bristol region and surrounding areas only). No job is too big or too small and we will be glad to help you achieve the look that you have always wanted! This service is of low cost and we ensure a sleek and professional look each time. All products must be purchased from Top to Bottom Ltd.
We can make and fit Velux, vertical, venetian, roman and roller blinds to your specified sizes in hundreds of fabric designs and colours. These are custom made to your exact requirements. We use a huge variety of designs and offer differently trimmed bottoms. We also offer a multi-buy vertical blind promotion (minimum of two blinds) where prices are reduced considerably on selected designs. Using fabrics chosen from our shop we can custom make your Roman, Austrian and Festoon blinds at excellent prices. We now supply a range of blinds that do not require any screws or fixings. The blinds slot into your window frame and that's it! Visit our shop for more information or a demonstration.